As Deadpool pointed out, “It’s almost like they couldn’t afford another X-Man,” when all they could muster was Negasonic Teenage Warhead (Brianna Hildebrand) and Colossus (voiced by Stefan Kapicic). And yet those two characters left a positive impression on the movie, and were great foils for Deadpool’s personality. While we don’t know how large a role the two characters will play in the sequel, I can see Deadpool 2 being irreverent enough to kill them both off immediately or seriously bulking up their roles in an attempt to lead the way to an X-Force movie. Personally, I hope we’ll be getting more of these two characters. 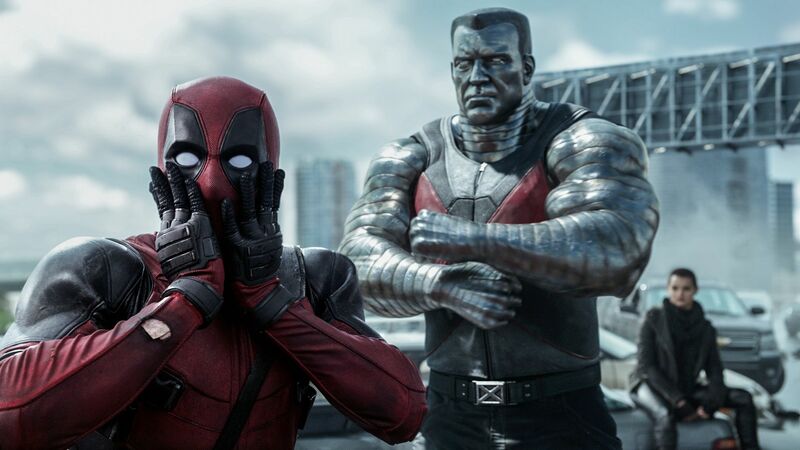 While we obviously don’t want Deadpool to become a secondary character in his own movie, we know from the first one that the chemistry between Deadpool, Negasonic, and Colossus works wonders. Of course, no one wants a retread, but I definitely think there’s room to build on these relationships and have a lot of fun doing it. Yes, there’s the risk of making the movie overcrowded, especially when you’re introducing Domino, Cable, and other new characters, but I trust that the screenwriters won’t lose sight of Deadpool and his sense of humor. Come back tomorrow for more from Steve’s interview with Wernick and Reese. For more on Deadpool 2, click on the links below.